From Two Henrys Brewing Co.
Back at the end of July, beginning of August, my fiancee Amy and I went up to St. Pete, Florida for the Tampa Bay Comic-Con. 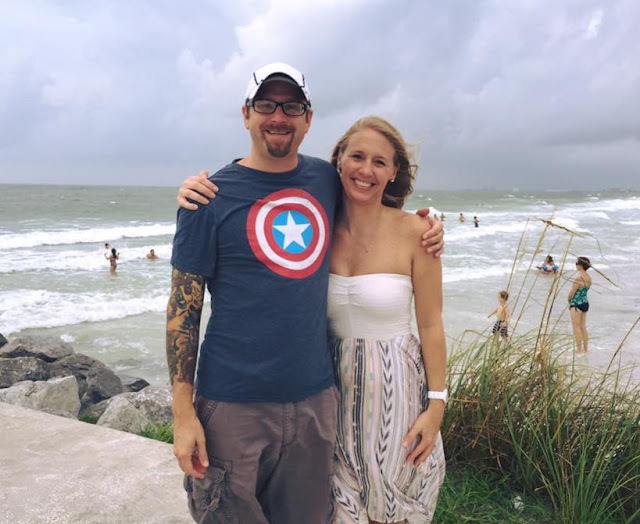 We really had no idea what the weather was going to be like — in South Florida, we had finally got our rainy season, but Tampa and the surrounding area had been deluged with non-stop rain and flooding. And that’s how we ended up at a small Two Henrys Brewing ‘satellite store’ and tasting room near St. Pete Beach. Amy and I came pretty close to bailing out of our trip that Saturday, but we decided to stay until Sunday. At the Con the day before, I met some awesome artists and writers whose comics I grew up reading, mostly Iron Man. Autographs and artwork in hand, the plan Saturday was to head to St. Pete Beach, specifically The Hurricane near Pass-A-Grille Beach, and of course, hang out on said beach. Well, it wasn’t raining, but it was cloudy and windy, so we ate and drank at The Hurricane and tried walking around the beach. You’d almost think, from outside, the tasting room was a retail store, or liquor store, but it’s a place to sample wine and beer. Amy and I went with sampling some beers over wine, and had two flights. 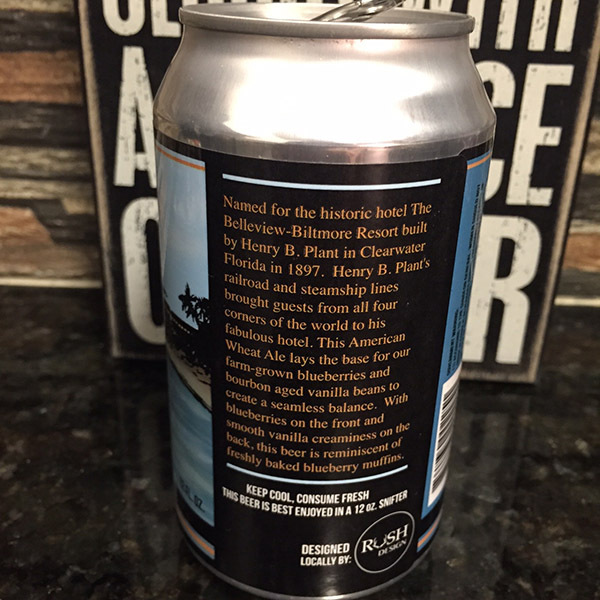 The beer that stuck out for us was their Belleview Biltmore Blueberry Vanilla Wheat Ale, which I’d put up against any major blueberry beers, like Sea Dog’s. We bought a few cans after having an additional pint, and brought them home, and they pretty much taste close to fresh-on-tap, which is a big plus! I’ve noticed some local breweries seem to have issues with how their beers taste canned vs. smaller batches we drink onsite. Not so with this particular beer from Two Henrys. I opened the final can up recently, and it still tastes good. The fridge mellowed it a little bit, but it still pours a nice cloudy wheat, and you can smell and taste the blueberries, but they aren’t too upfront, if you will. The vanilla also mellows the tartness of the blueberries, much better than some of the other blueberry beers you can drink during the summer. Accordingto Two Henrys’ site, the beer is seasonal, but as of early September 2015, it’s still on draft at their Plant City headquarters. 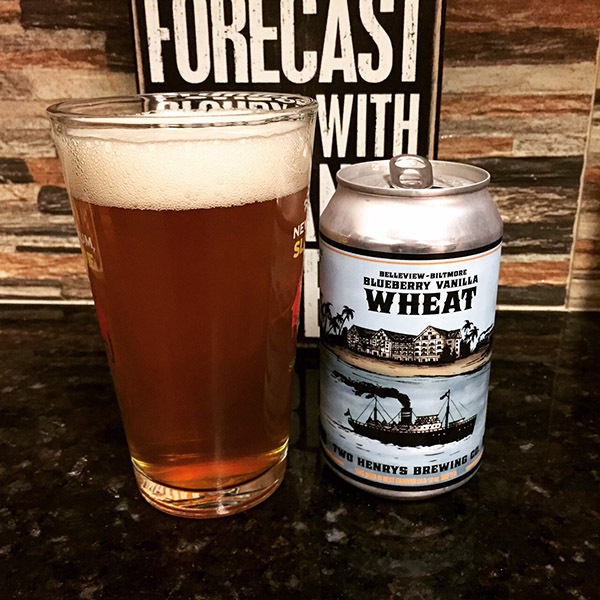 Seek this beer out in the greater Tampa and St. Pete area, since it’s summer 365 days a year in Florida. By the way, Two Henrys refers to Henry Plant and Henry Flagler, two historic figures who helped shape early modern day Florida.